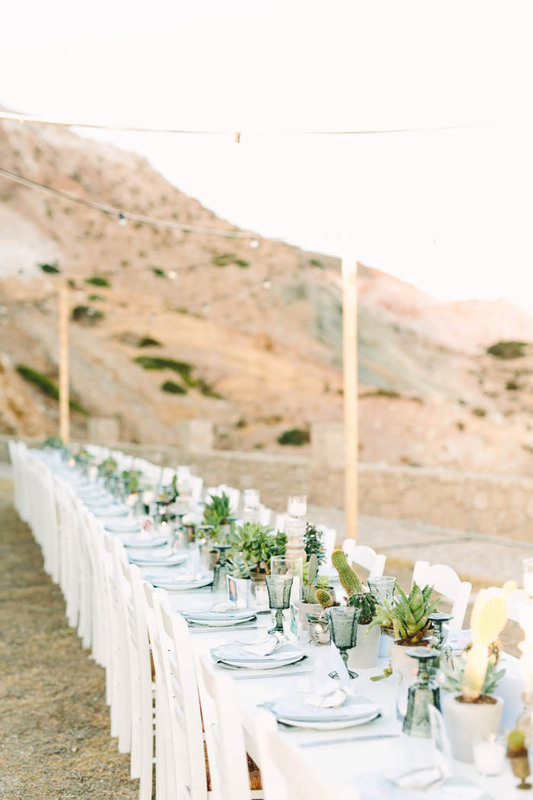 Seeking after the perfect desert wedding inspiration in Greece, this gorgeous couple’s vision gravitated around finding the ideal, fresh bohemian wedding destination. 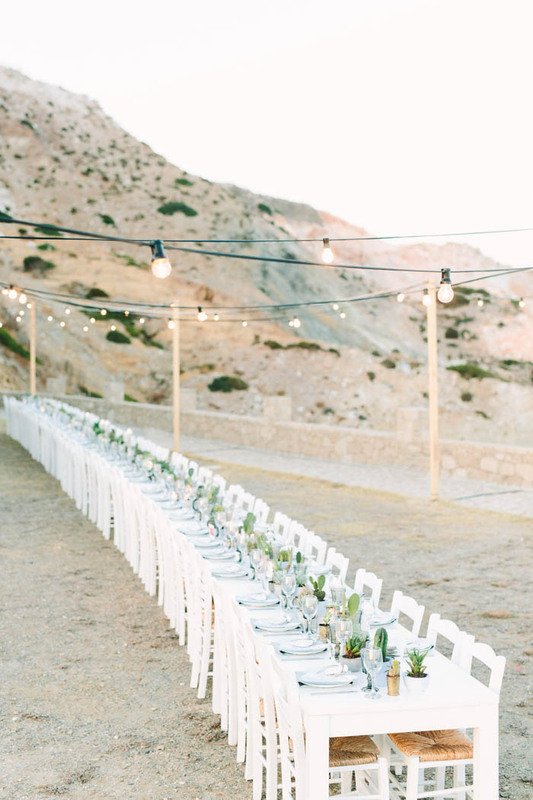 Where volcanoes arch around dramatic coastal landscapes and surreal rock formations, Milos, with its string of pearl white villages and compelling mineral perlite, obsidian and bentonite backdrops was the sweetest spot to tie the knot. 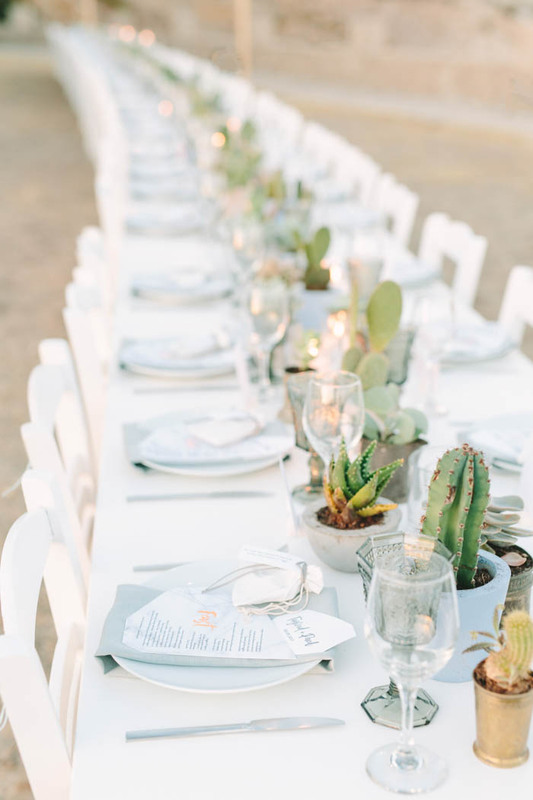 Hidden among rows of brown-sugar colored rockies, the fun-loving couple’s wedding ceremony with a view of the sun-dappled caldera called for an al fresco wedding celebration in a forever stunning banquet-style wedding dinner brimming with cacti, succulents and shimmering reflections.Taking a mental inventory on Bohemian-bride style? 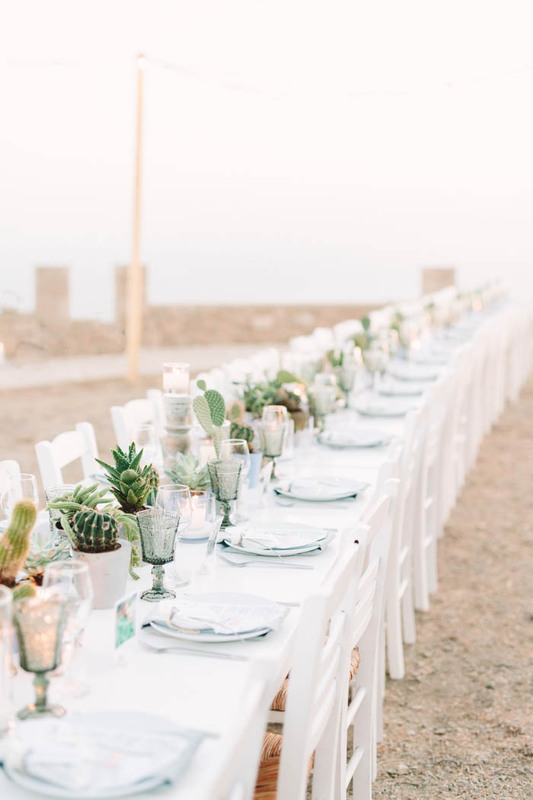 The bride’s stunning king-protea wedding bouquet paired to her desert-child inspired eyelash lace off-the-shoulder and cascading train wedding dress, will certainly give you one more reason to love these “I do”s as much as we did.